Washington D.C. [USA], Nov. 23 : Brad Pitt has officially steered clear of investigation made by the 'Federal Bureau of Investigation' concerning an alleged child abuse a couple of months ago. The FBI is no longer investigating the 52-year-old actor regarding his involvement in an alleged incident with a child aboard a private plane on September 15, reports E! Online. 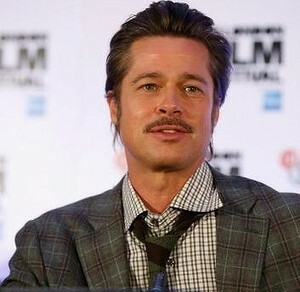 A statement released by an FBI spokesperson reads, "In response to allegations made following a flight within the special aircraft jurisdiction of the United States which landed in Los Angeles carrying Mr. Brad Pitt and his children, the FBI has conducted a review of the circumstances and will not pursue further investigation." Adding, "No charges have been filed in this matter." Washington D.C. [USA], Nov. 19 : Angelina Jolie recently appeared in a recorded a video for the 'International Criminal Court' marking the first time she is back to the public eye since her divorce from former husband Brad Pitt. The 'ICC' tweeted about the 41-year-old actress' response to a recent policy regarding children. "#AngelinaJolie welcomes #OTP policy: Mankind owes to #children. We know we aren't giving the best to children. #ICCProsecutor4Children #ICC," read the caption. A clip of the video was also captured by several Twitter users and shared on the social media site. Jolie is seen donning a black blazer and a neat hairdo as she addresses the audience from the video. Washington D.C. [USA], Nov. 10 : Looks like the wind is in favour of Brad Pitt, who is currently in the custody battle for his six children with Angelina Jolie. The 52-year-old actor has been cleared of child abuse allegations by the Los Angeles Country Department of Children and Family Services, reports TMZ.com. According to the article, the department has closed its child abuse investigation into an incident on a private jet between Pitt and 15-year-old Maddox. A spokesperson for Jolie released a statement that said, "The job of the DCFS is to make sure the children are in a safe and secure situation. As we said earlier this week, childcare professionals encouraged a legal agreement accepted and signed by both sides that was in the best interest of the children." Washington D.C. [USA], Nov. 9 : Brad Pitt recently made his first appearance in Los Angeles following his very public split from estranged wife Angelina Jolie in September. Almost two months after the divorce announcement, the 52-year-old actor attended a private screening of 'Moonlight' in Los Angeles, where he was joined by longtime pal and 'Ocean' co-star Julia Roberts, reports People magazine. This news comes one day after a rep for the 'Salt' actress released a new statement saying that the former couple have reached a legal agreement that states all six of their children that include 15-year-old Maddox Jolie-Pitt, 12-year-old Pax, 11-year-old Zahara, 10-year-old Shiloh, and 8-year-old twins Knox and Vivienne will remain in Jolie's custody. London [India], Nov. 8 : Looks like the Brangelina split is taking a heavy toll on Brad Pitt as he recently pulled out of all his ' promotional commitments' regarding his new and upcoming movie ' Allied'. The 52-year-old actor who portrays the lead role Max Vatan in the forthcoming romantic thriller is reportedly refusing to do any interviews, press junkets or chat show appearances following his public divorce with Angelina Jolie, reports the Daily Mail. "This was supposed to be the start of a big campaign push for Brad to finally win an acting Oscar but there's too much controversy for him to risk any publicity," a source told The Sun, adding, "It also doesn't help that there were rumours he had an affair with his co-star Marion Cotillard, which both deny." Washington D.C. [USA], Nov. 5 : Looks like the Brangelina divorce case is not reaching a solution any time soon. The latest turn in the issue is that Brad Pitt is seeking joint physical custody of his six kids- Maddox Jolie-Pitt, 15, Pax Jolie-Pitt, 12, Zahara Jolie-Pitt, 11, Shiloh Jolie-Pitt, 10, and twins Knox Jolie-Pitt and Vivienne Jolie-Pitt, 8, reports E! Online. As part of a temporary custody agreement, Angelina Jolie had earlier asked for sole custody of the children she shares with Pitt, only allowing the actor visitation rights. Pitt had been under investigation over the last few weeks regarding an alleged mid-air altercation on a private plane with eldest son Maddox. Washington D.C. [USA], Oct.29 : Hollywood's most coveted couple Angelina Jolie and Brad Pitt have officially sold their longtime mansion in New Orleans for a whopping 4.9 million dollars. According to Hollywood Reporter, the former couple, who is currently in the middle of a highly publicized divorce, sold their property which was purchased back in 2007 for 3.5 million dollars shortly after creating the ' Make It Right Foundation' in the wake of Hurricane Katrina. The three-storey estate is said to spread over 7,500 square feet having five bedrooms, three full bathrooms and two half-bathrooms. Washington D.C [USA], Oct. 9 : The Federal Bureau of Investigation is reportedly still looking into child abuse allegations that surfaced against Brad Pitt after his wife Angelina Jolie filed for divorce last month. Reports claimed that the Bureau's official position is still at ' fact-gathering' stage and is not calling the probe an investigation yet, reports the Daily Mail. Pitt's 41-year-old wife filed for divorce citing irreconcilable differences, after which a claim centred on reports that the Oscar-winning star was 'screaming' and 'ranting' at their six children on a private jet from France to the US. A report was handed to the Los Angeles Police Department, which referred it to the FBI as it has jurisdiction for flights. On behalf of the Humane Society of the United States (HSUS), Brad Pitt has written an open letter to officials of the US wholesale store Costco that it should stop selling eggs from caged hens. He has addressed the letter to Costco CEO Craig Jelinek. In the letter, he has underlined the extreme conditions being faced by chickens. He has also highlighted about the health problems from which birds can suffer from owing to tight living areas. Pitt was of the view, “As you know, these birds producing eggs for your shelves are crammed five or more into cages that are not large enough for even one hen to spread her wings”. Los Angeles - Jennifer Aniston has revealed that she did not find the divorce from ex-husband Brad Pitt painful. Aniston, 45, who is now engaged to actor Justin Theroux, was married to Pitt for close to five years, reported Us magazine. "I don't find it painful. I think it's a narrative that follows you because it's an interesting headline. It's more of a media-driven topic," she said. When asked whether she still keeps in touch with Pitt, 51, Aniston said, "We've exchanged good wishes an all that sort of stuff to each other, but it's not a constant thing." Has Jennifer Aniston ended dispute with Brangelina? London, Nov 15 : Jennifer Aniston may have ended the long going feud with former husband Brad Pitt and wife Angelina Jolie. While talking to the Harper's Bazaar, the 45-year-old actress said that one has to let things do even if people had done some unforgivable things, hinting towards Pitt's alleged affair with Jolie while she was still married to him, the Telegraph reported. She added that it was "extremely important to forgive, as there's nothing worse than holding a grudge." Would Brangelina have not wed if kids didn't insist? 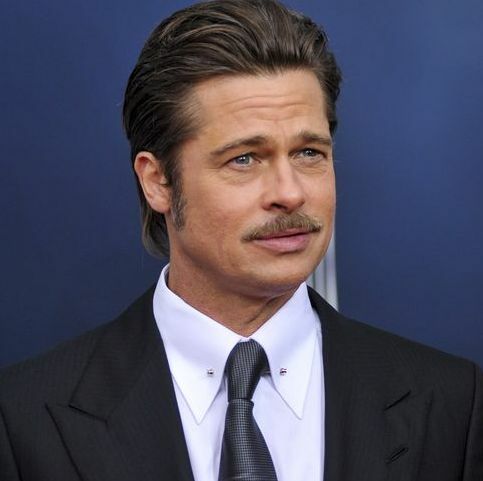 London, Oct 21 : Brad Pitt has revealed that the only reason he and wife Angelina Jolie tied the knot was for their 6 kids. The 50-year-old 'Fury' star said that they felt they were "beyond marriage as they already had a family," the Daily Star reported. However, Pitt, who married the 'Maleficent' star, 39, earlier in August this year, added that when their children asked them to get married, both of them surprisingly thought "it would be a lovely." London, Oct 20 : Brad Pitt has said that '' war is hell'' and he hoped that his new WWII film, 'Fury' was able to recognize the trauma suffered by the real soldiers during that time. Pitt, who plays a character of a Sherman tank commander on a mission behind enemy lines in 1945, said that the film was about the accumulative psychic trauma that every soldier carried to some extent, the BBC reported. London, Oct 17 : Brad Pitt had been so busy filming 'By The Sea' with wife Angelina Jolie that he missed the nuptials of his best friend George Clooney, but the actor admits he owes Clooney a wedding gift. The 50-year-old actor, who's also a father-of-six, explained that he and Jolie were shooting in Malta when the lavish celebrations took place in Venice last month, the Mirror reported. 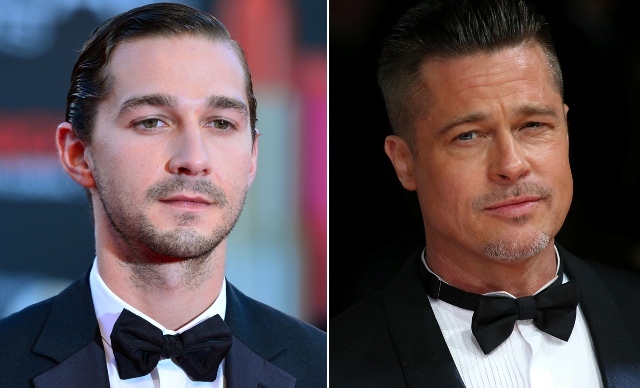 London Sept 30 : Brad Pitt has revealed that he believes Shia LaBeouf is one the best actors he's ever worked with. The 'Fight Club' actor agreed that the 28-year-old is hugely talented and is faithful to his commitments, the Mirror reported. He added that he has been fortunate to work with a lot of great actors, but the 'Transformers' star is one of the best he has seen. Melbourne, Sept 30 : Brad Pitt has said that his marriage to Angelina Jolie is "more than just a title". The 'Troy' star told British GQ that he would not say that marriage was just a title, News. com. au reported. London, Aug 29 - Brad Pitt and Angelina Jolie, who got married in a small "private" ceremony, has revealed that they finally tied the knot after dating for nine years because their kids have been nagging them. A spokesman asserted that the duo's marriage was very much a family affair and all children were present during the ceremony, the Daily Star reported. Jolie had also promised her late mum she would one day marry in her native France. Angelina Jolie's children to appear in Cleopatra? London - Superstar Angelina Jolie has reportedly landed roles for all of her six children in `Cleopatra`, which will also see her appear opposite fiance Brad Pitt. The 39-year-old actress and Pitt had previously said that they did not want their brood - Maddox, Pax, Zahara, Shiloh, and five-year-old twins Vivienne and Knox, to follow them into acting, reportedly. Washington, June 19 : Brad Pitt and new 'Doctor Who' star Peter Capaldi are currently leading efforts to restore part of a Scottish art school, which was earlier destroyed by a fire. The 'Fight Club' star, who is a well-known architecture connoisseur and fan of MACkintosh, and Scottish actor Capaldi, who graduated from the school in 1980, have now signed on to be trustees of the appeal, Contactmusic reported.